Announcing support for the Amazon Echo for controlling and monitoring your digital signage and kiosk displays with voice. Using the new Alexa Skill for Revel Digital you can send commands or get the current status of any device in your account. With our Smart Scheduling it's easy to create voice activated content useful for kiosk experiences or for simply managing your content on the fly without having to login. With the Alexa app for Android and iOS it's even possible to view a screenshot of currently running content along with the player status. "Ask my signage to show weather on lobby screen." "Ask my signage to tell me the status of lobby screen". 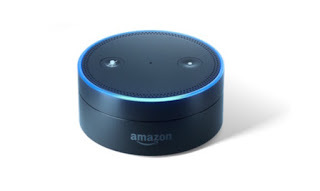 Again, the player is named 'lobby screen', and Alexa will enunciate the current status of the player, as well as send a current screenshot to your Alexa app. For more advanced usage it's possible to utilize the command in player script in order to achieve virtually any level of funtionality.